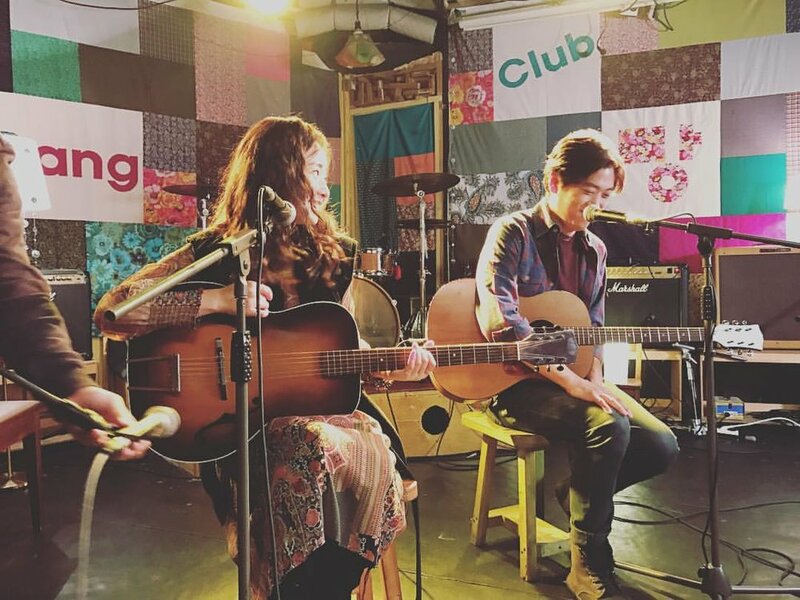 Having its World Premiere at the 34th LAAPFF, Fiction and Other Realties (2018) is a romantic comedy set to the deadpan love songs of indie rocker Bobby Choy. Written by Choy and co-directed with Steve Lee, he plays a thinly disguised version of himself also named Bobby. Bobby the character lives in New York with his Korean immigrant Mom. He plays his acoustic guitar in the bathtub and occasionally ventures out to open mikes to face a room full of surly, would be critics. His songs are good, maybe even great, but the last Asian American signed by a major record company was Sean Lennon. When Bobby’s rock star friend Billy (Todd Goble) offers him a roadie gig on tour in (guess where?) Korea, it’s too good to turn down. 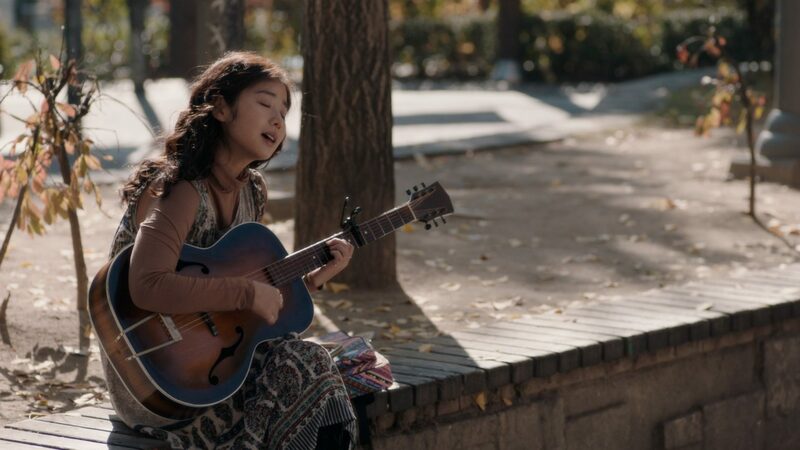 In Seoul, Bobby ventures out of the hotel and spies Ina (Hwa-Young Im) busking in the park. She’s a pristine beauty with a voice to match, one can picture animated birds circling her head like in a Disney movie. 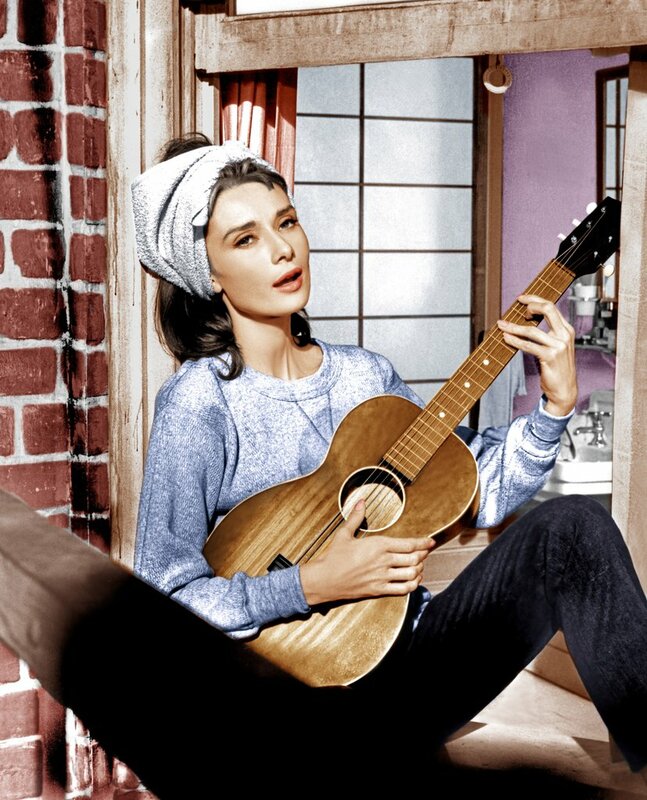 It’s a magical moment that rivals Audrey Hepburn singing “Moon River” on a fire escape in Breakfast at Tiffany’s (1961). From Bobby’s lovestruck expression, we know it’s only a matter of time before he and Ina get together. That’s a given but what will the complications be? A tae kwon do champ boyfriend? A secret drug habit? Or a more prosaic problem with overbearing parents? We know going in that boy will lose girl. Will he get her back? That’s the question. In the meantime, they form a duo that becomes a trio when Ina’s wacky friend Dolly (Hyun-Sung Hwang) worms his way into the band. Several other well-known Korean musicians who are part of the Hongdae district’s indie scene play themselves. John Carney’s Once (2007) has come up as a point of comparison and one of Fiction‘s posters seems to play on that. Fans of Carney’s musical films will surely enjoy this one which believably integrates music into the story. Choy introduced the film with a song. At the Q&A, he thanked his family members and Kickstarter supporters. It’s a South Korean co-production with producer Dan Mark’s King Street Pictures. Hollywood rarely makes these human scale stories, anymore. 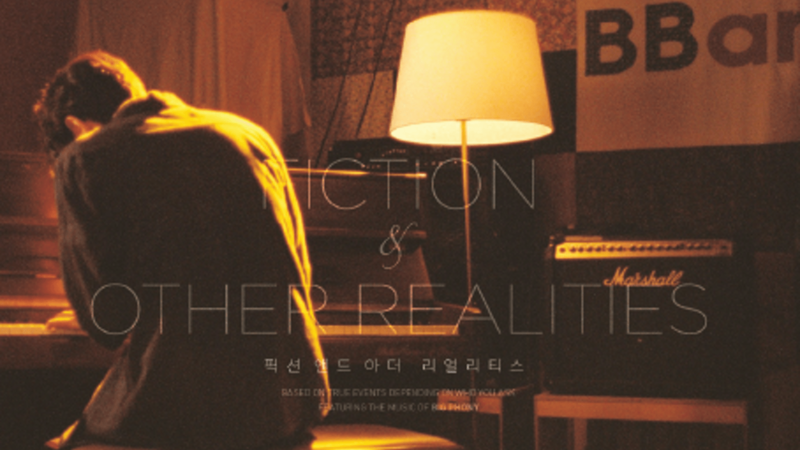 For now, Fiction is on the festival circuit and will next play CAAM Fest in San Francisco.